In September 2014, Chinese manufacturer Gionee launched the Elife S5.1 with a thickness of just 5.1mm when smartphones with 6-7 mm of thickness are considered to be the slimmest smartphones. The device was also recognised by Guinness Book of World Records as the slimmest smartphone ever launched to that date. Though it’s lasted for only one month, when another Chinese manufacturer OPPO launched the OPPO R5 with just 4.85mm thickness. Now the company is all set to launch it next smartphone in the Elife S series called as ‘Gionee Elife S6‘ on November 16th. Apart from the name, there is no other information mentioned by the company. 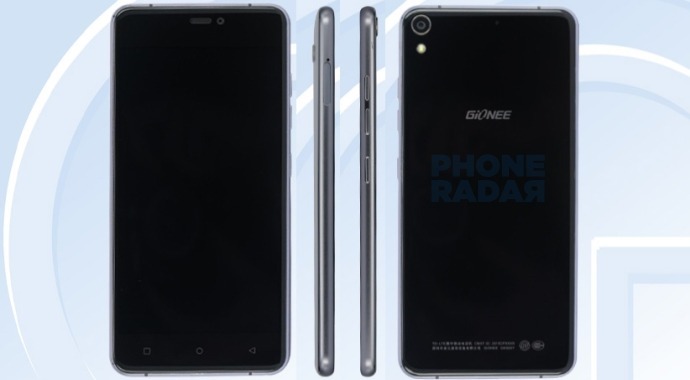 Recently a new smartphone with model number GN9010 (not GN9007) was listed on TENAA and as per our source this same smartphone will be launched as Gionee Elife S6 in the market. The device comes with 5.5-inch HD AMOLED display and is powered by a 1.3GHz MediaTek octa-core processor. It has 2GB of RAM, 16GB of internal storage and interestingly it also has a MicroSD card slot. It runs on the Android 5.1 Lollipop based Amigo 3.1 UI. On the camera front, it has a 13MP rear camera with LED flash and a 5MP front camera. It supports 4G LTE and we expect the device to sport hybrid SIM slot where you can insert MicroSD card instead of the second SIM. The 3,150mAh battery on this device can easily last for a single day of usage. The device is expected to measure 6mm thickness. Stay tuned for more information regarding the device in the upcoming days.